Fred’s Stainless Steel Polish and Cleaner will finally make having stainless steel appliances and sinks easy to maintain. No streaking, no buffing, no need to follow the grain. 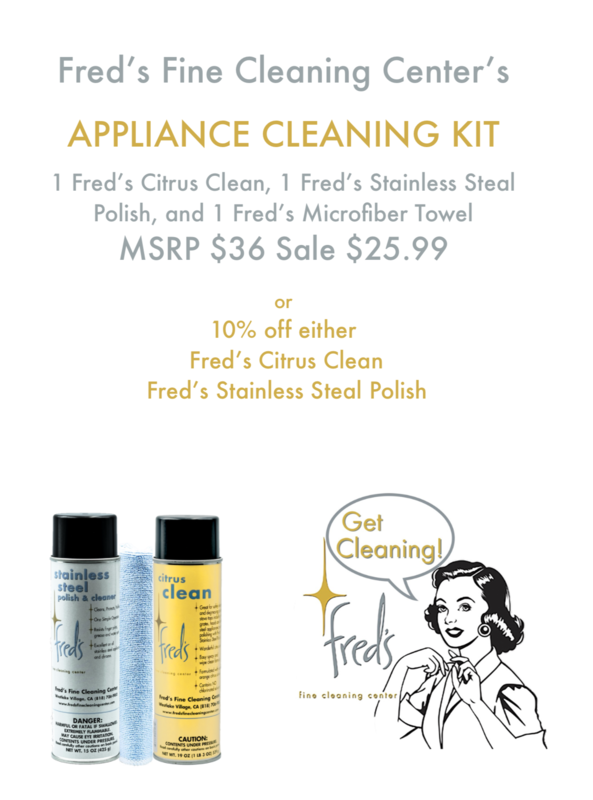 Fred’s Stainless Steel Polish and Cleaner will finally make having stainless steel appliances and sinks easy to maintain. No streaking, no buffing, no need to follow the grain. 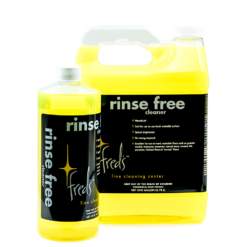 This product will make you enjoy having stainless steel again! Guaranteed! 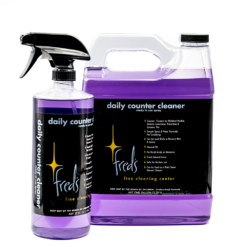 It cleans, shines, and protects your investment. It also works great on your outdoor stainless steel barbecue. 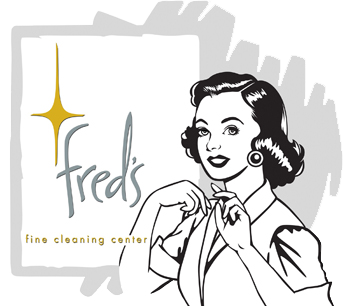 How to use: Use Fred’s Ultra Plush Microfiber Towels for best results. 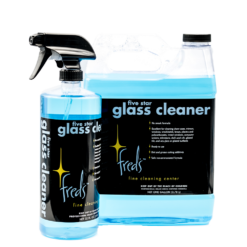 When dealing with heavy grease build up or where previous polishes have been used pre clean with Fred’s Citrus Clean. Directions: Hold can upright. 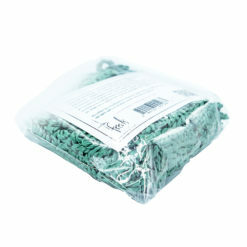 Spray onto dry surface or directly on to microfiber towel or microfiber applicator. Use sparingly. 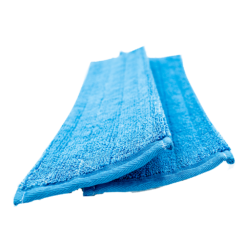 Clean with one microfiber towel or microfiber applicator and polish with a clean, dry microfiber towel. The gloss is renewed and will be retained. No rubbing required. Important: Not intended for cookware use. 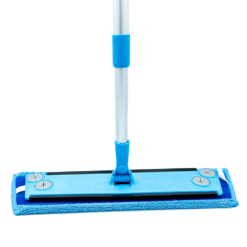 Protect floors from overspray to prevent slippery conditions.